How does Lakota Joint Care work? Despite its name linking it with the Native American Lakota tribe, this product contains ingredients used in herbal medicine from all around the world, some from the Americas and some from parts of Asia. Each ingredient is supposed to handle some part of joint pain, with some of the herbs intended to help address the chemical and biological reactions in the body that cause pain and swelling in the first place. Other ingredients focus more on joint health and strength, helping along the processes that create new cartilage and improve the “cushion” that surrounds the joints and allows them to be more flexible. The overall effect from the sum total of all these ingredients working at the same time is supposed to be a reduction in pain, limited swelling, and stronger joints overall, so that the joints can work at their healthiest. Top Benefits: It contains glucosamine, an ingredient well-known for its ability to help with joint health. It contains no artificial ingredients or preservatives. Negatives: Customers are expected to try it for two months before seeing the promised benefits, and it contains a few questionable ingredients. Click here for our Top 10 list of supplements for improving joint health. There are several ways to buy this product, including on Amazon and directly through the company’s website. We recommend this list of supplements that can help you with your joint pain. This product consists of a number of different herbs, as well as some mineral and chemical extracts that are used commonly in joint health products. It is intended for daily use, unlike some products which are supposed to be short-term treatments. The suggested dosage for this supplement is 2 pills taken twice a day, with a suggested minimum usage time of 2 months just to see if the product is working. White Willow Bark: This extract is a natural pain reliever that has been used since ancient times. It’s considered safe when used for a short period of time, but because salicin (the active chemical) can cause kidney damage at certain doses, it could lead to potential injury especially with children, those who are breastfeeding, or for people with sensitivities to aspirin or other pain relievers. Boswellia Serrata: Another word for Indian frankincense, an extract that’s used in traditional herbal medicine to combat inflammation. While there are some clinical studies that show it can help with this, these tests have only been performed with patented unique formulations, none of which are included in Lakota Joint Care. Claims about its other medical benefits have not been sufficiently proven yet, according to WebMD. Glucosamine Sulfate: A common joint health ingredient found in many products. Its primary action seems to come from promoting the production of cartilage cells, which can help build up the joints and make them stronger, as this process can stave off cartilage deterioration. Copper: A common mineral, it’s a key factor in iron production, which can prevent anemia (“tired blood”) and can help prevent bone loss, especially in older women. Manganese: Another common element found in the natural human diet, this one is concerned with the processing of carbohydrate and protein, and could have an effect on bone formation. Selenium: A mineral found commonly in seafood and wheat, and a common nutrient. It is thought to improve the power of antioxidants in the blood and cells, which can help prevent cell deterioration, keeping the body (and by extension, the joints) healthy and strong. Pantothenic Acid: This chemical contains vitamin B5, and is found in many different foods like eggs, mushrooms, whole-grain cereals, rice, and liver. This vitamin is important in lots of different fundamental biological processes that regulate the synthesis of necessary fatty acids and the activation of important enzymes. While it’s true that this is an important ingredient, it’s easily obtained as a part of a normal diet, and it’s not clear why it was included in this product as a supplement, as it doesn’t seem to have much to do with pain or inflammation. Click here for a list of the top-rated joint pain products. What’s good about Lakota Joint Care? This product is composed almost entirely of all-natural ingredients and important vitamins, which many people will find appealing. Other joint products commonly have drugs or synthetic additives, which can cause some people to have negative side effects. This supplement also does not contain any dairy, gluten, yeast, or sugar, nor does it have any artificial flavors or preservatives. The company also offers a money-back guarantee, although they don’t specify exactly what the rules of sending an item back for a refund are. Try one of these top 10 products for maintaining joint health. What’s bad about Lakota Joint Care? While this product is natural, it doesn’t mean that all of its ingredients are particularly useful, or that they come with no side effects. White Willow Bark can be toxic at certain levels, and people who are taking other medications that involve the liver, like aspirin, should take care before using this product as too much stress put on the liver to process both the salcylic acid and other pain killers at the same time could cause damage. Boswellia, Indian frankincense, is also associated with a number of uncomfortable side effects which could especially effect sensitive people, including stomach problems, and the same goes for the devil’s claw extract. The addition of all of these potentially harmful (and sometimes unproven) ingredients could be weakening the product, filling it with ingredients that could be replaced by more potent ones that come with fewer side effects. There’s also a problem with the dosage and the time they expect customers to take the product: 4 pills a day is about twice the amount required by other products, and for a customer to have to wait two whole months to see if the product works is putting a lot of expectations on customer patience. These joint health products are the best of the best. What do customers think about Lakota Joint Care? What we noticed is that several reviews had to do with people treating their dogs, despite this product not being intended for dogs. We believe that, as this company also makes a canine joint pain product, people may have been confused as to which product they were reviewing, and mistakenly rated the human-formulated product, instead of the one meant for dogs. This throws the validity of some of these positive reviews into doubt. We think these supplements are the best at treating joint pain. 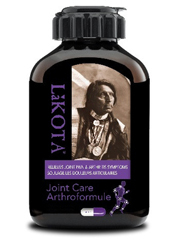 Lakota Joint Care contains natural ingredients, but not all of them are proven to work, and some of them come with side effects. Customers have to take the product for months before they’re supposed to see if it works or not, and they have to take many pills every day, which points to a possibly weak dosage per pill. Lastly, in spite of claims that “thousands” of people have used it, only 8 reviews could be found on Amazon, and several of them may have mistakenly been for another, separate product. 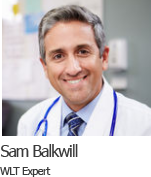 We would recommend people continue searching for natural joint pain relief products. Flexitrinol is the best supplement we’ve seen thus far, in terms of how effective it is, as well as the quality of its ingredients. It has lots of satisfied customers who have written in about how it’s helped them overcome their joint pain. 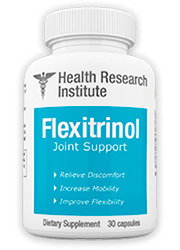 Flexitrinol is one of the best joint supplements on the market, and has garnered praise from experts as well as high-rated reviews from customers.